Synergy has provided substance abuse treatment to adolescents since 1978. 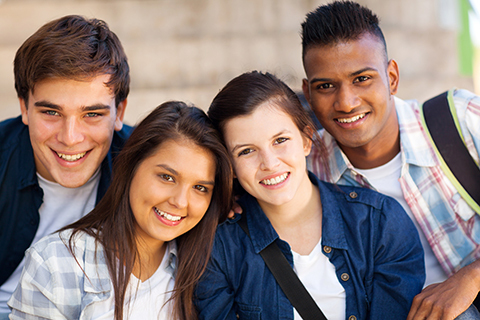 Synergy serves adolescents with substance use, conduct, and other co-occurring psychiatric disorders. Synergy is grounded in promising and evidence-based practices; all services emphasize developmentally appropriate, empirically supported treatments. Treatment is informed by a comprehensive assessment, which leads to formation of an individualized treatment and continuing care plan. Synergy offers a variety of outpatient-based services for male and adolescent females between 12 and 21 years of age. Multisystemic Therapy (MST) is a home-based model that is evidence-based and continuously monitored for fidelity of implementation. It is an integrated treatment for substance use and mental health disorders. Multisystemic means that Synergy strives to work with the adolescent and his or her family, school, community and peers to achieve positive behavioral change. The goal is to assist the adolescent to remain at home, to learn how to live a healthy, drug-free life, and to be successful in school and work. The key is to coordinate all facets of the adolescent’s life and align them in a focused direction. Paired with contingency management, the expected outcomes of MST are the elimination of substance use and behavioral problems, including criminal activity, truancy, academic deficits, and reduction in family conflict. MST can be the primary treatment intervention for adolescents and their families, or constitute aftercare for those who have completed intensive treatment. Adolescent Community Reinforcement Approach (ACRA), an outpatient treatment approach, is a behaviorally based intervention that is effective in helping adolescents find alternative coping strategies and supports in their community to avoid drug use. ACRA helps promote abstinence, positive social activities, and positive family and peer relationships. Assertive Continuing Care (ACC) is an empirically supported community and home-based model and it is available for those youth who have completed a residential, day treatment, or a similarly intensive program. ACC utilizes the ACRA therapy model and relies heavily on home-based case management to assist the youth in achieving goals and developing positive activities. This involves linking the youth to services in the community (e.g., 12-step support group, work or pro-social activities, mental health counseling); monitoring his/her continued involvement with the service; advocating for the individual as needed (e.g., with probation or school/work); and providing support through difficult times (e.g., relapse or problems with caregivers). The therapist may also offer transportation to an individual to help him/her engage with a pro-social activity. Alternatives for Families – A Cognitive Behavioral Approach (AF-CBT) is an evidence-based treatment designed to improve the relationships between children and caregivers in families involved in arguments, frequent conflict, physical force/discipline, or child physical abuse. The goals are focused on enhancing child/family safety; to help families better adapt to and cope with difficult life circumstances; and to improve parent-child relationships. Traditional Outpatient services are offered to both male and female adolescents, and can include individual or family therapy, psychiatric assessment, medication management, and urine monitoring. Synergy also offers outpatient substance abuse treatment services at the Family Resource Pavilion, located in Centennial, CO. The Family Resource Pavilion brings a variety of organizations together to provide individualized services to families without them having to drive to multiple locations. Synergy offers individual, family, and group therapy, as well as evaluation services from this location. Synergy is licensed by the Colorado Office of Behavioral Health. Synergy programs are staffed by multi-disciplinary teams of professionals, including psychiatrists, licensed mental health therapists, and certified addictions counselors. Faculty members from the Division of Substance Dependence, Department of Psychiatry, work in the Synergy program, providing psychiatric consultation and direct clinical care, while also conducting clinical research. This integration of research and practice is the foundation for all of Synergy’s services, ensuring that the individuals are participating in interventions that are grounded in current scientific evidence. Synergy serves youth primarily from the Denver metro area. Referrals are accepted from social services, probation and judicial districts, Division of Youth Services, Treatment Alternatives for Safer Communities (TASC), family, and self-referral. If interested in learning more about Synergy programs or to schedule an intake appointment, please call 303-934-1008.